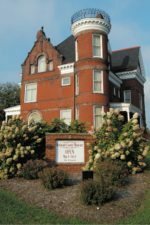 Visitors of all ages thrill to the splendor and elegance of this award-winning Victorian Mansion Museum of the Romanesque style. Twenty-six rooms are skillfully restored and furnished with the finest of the Victorian era. It is obvious upon first glance that a fortune was well invested.